We are currently being subjected to an unusually high number of accusations of sexual misconduct, allegedly committed by men who are celebrities or politicians. It is more than disturbing on more than one count. For one thing, if true, far too many women have suffered in silence for far too long. For another, these incidents call into question what harmless individuals must do to avoid such accusations besides just being innocent. Taken to an extreme, can men and women date anymore? We can allow those who consider conspiracy theories to contemplate why we currently see so many accusations and why now. Yet, one fact remains. Any sense of invulnerably to accusation conferred by being in public office or the media is an illusion. Democratic Senator Cory Booker has called for President Trump’s resignation based on allegations of sexual harassment. While it has no bearing on the truth of any such allegations, we do note that Mr. Booker published a story in which he admitted to sexually assaulting a girl when he was 15-years old. Hypocrisy, anyone? Justice is to be administered based on the guilt of the accused and the nature of the crime(s). Race, religion, or political party are all irrelevant. Or they should be so. The problem is that sometimes they do become factors. We can already imagine the howls from the left that this all be dismissed. It will be pointed out that Booker was 15 when this happened. Also, that this is something that goes on between teens in bedrooms and backseats across the country every night of the week. That said, the young woman claims to have been drunk at the time. So Booker allegedly sexually assaulted a helpless young woman. Regardless what his defenders might say, his age at the time does not make it okay. In fact, it can be argued that such behavior at a young age merely acts as an encouragement to the same behavior when these teens become adults. 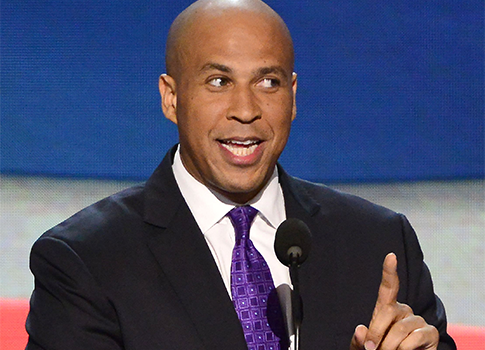 In any case, Booker, took sexual advantage of a female peer who was too intoxicated to resist. That is utterly despicable behavior. Instead of looking to take political pot-shots at the president, he needs to sit down and shut up. And be thankful he did not have to pay the price for his act in a court of law.